Home >> Blog >> Snow Factoids: Possible Interactive Notebook Activity! Snow Factoids: Possible Interactive Notebook Activity! 1. One inch of water is about six inches of wet snow or 12 inches of fluffy snow. 2. The world's largest snowflake was 15 inches wide and 8 inches thick. It fell in Fort Keogh, Montana, on January 28,1887. 3. Snow can be colors other than white, including blue, orange, green, yellow, and purple. Actually, snowflakes are clear. 4. Air pollution caused orange snow to fall over an area of Siberia, Russia, in 2007. 5. Mount Baker,in the North Cascades, of Washington State, holds the record for the most snowfall. 1140 inches fell during 1998-1999. 6. The record for the most snow in one storm, within 24 hours, was in Silver Lake, Colorado. Back in 1921, Silver Lake received 76 inches of snow. 7. Heilongjiang Province, China,holds the record for the world's largest snow sculpture. In 2007, a snow sculpture 656 ft. long and 116 ft. tall was made. 8. Snow flakes have SIX sides. 9. On average, a snowflake falls to earth at 3.1 mph. 10. 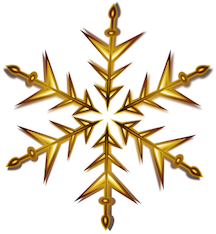 One snowflake contains about 10 quintillion water molecules(that's the number 10 with 10 zeroes). 11. Did you know that Valdez, Alaska, averages 326 inches of snow a year? That makes it the snowiest state. 12. Wilson A. Bentley studied snowflakes for much of his life and is probably the most famous snowflake researcher. He was nicknamed "Snowflake Bentley. 13.According to the Guinness Book of World Records, the world record for the most snowmen built in one hour is 2,036. The record set, on February 28, 2015, involved 1406 people. 14. If you have "chionophobia", you have a fear of snow. 15. Bethel, Maine, has the record for the largest snowman ever built. A 122 ft. snow-woman was built in 2008. 1. Illustrate one of the factoids. 2. Pretend you are a snowflake. Tell about a day in your life. What did you do? What did you see? Feel? Etc. 3. Do a paper cutting of a snowflake. Write a poem using each of the letters of the word snowflake. 4. Locate 10 NOUNS and 10 VERBS in the factoid statements. 5. Pronouns are NOUN substitutes. Can you spot 7 PRONOUNS in the Factoid statements? 1. Famous sculptor, Michelangelo, was hired to make a snowman for a wealthy person in Florence, Italy. 2. A snow man is used each April,to help predict the weather during a festival in the country of Switzerland. 3. 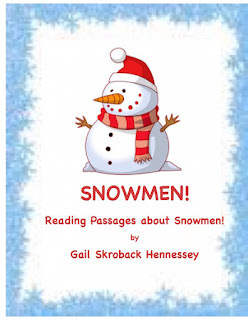 One of the earliest written comments about snowmen dates back to 1690. Two snowman were left to guard Fort Schenectady, in New York, during a blizzard with very tragic consequences! 4. The world's record for the largest snowman, Olympia, was constructed in 2008. 13 million pounds of snow were used to make the amazing snow-woman! As of 2015, the record still stands. Each short reading passage includes following directions to identify answers. There are also several extension activities and a Did you Know? section.